«Important thing to do» illustrated quotation. Raising children, free quote pictures for Facebook, Twitter, LinkedIn, Reddit, Pinterest and other social networks. 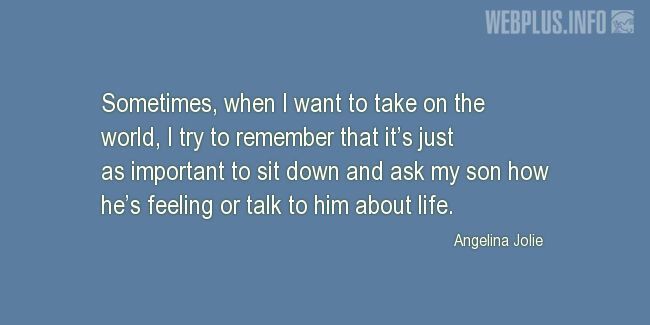 Sometimes, when I want to take on the world, I try to remember that it’s just as important to sit down and ask my son how he’s feeling or talk to him about life.